I need to be able to sell YouTube subs and views and likes when I want too for free. I need a Software or like a website (or how ever you do it) that I can do by myself for free. I need this to allow me to give 500+ subs, 20,000+ views and 500+ likes to any channel/video with just the link. i am honest and very frist hard worker. have a experience subscriber( toutube,,twitter,insta ,soundcloud etc). i can do this job very well. i will complete this work within 3 days. i shall provide you real and worldwide and unique ip and unique geo location based and active social media profile based and application programming interface based 20 smm panel registration by an excel file where you can place order for all social media signal and you can compare the price also. 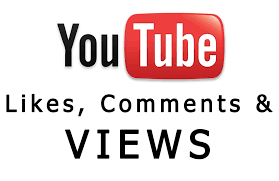 i will provide you smm panel where you can get all service likes, views, subs, comments, followers and more.